Android ADB & Fastboot are the two terms that you must have heard of while exploring the custom recoveries, unlocking the bootloader, or rooting your device by flashing .img files. Basically ADB stands for Android Debug Bridge that helps you to establish connection between your PC and your Phone, this can be accomplished by turning on USB debugging mode in your phone under the settings tab > developer options, while the Fastboot mode can be turned on by bringing your phone in Fastboot and plugging in the USB data cable. Fastboot mode helps you to flash .img files and several other similar tasks. Well, to install Android ADB & Fastboot drivers on your Windows PC you need to install Android SDK tools and use the Platform tools. 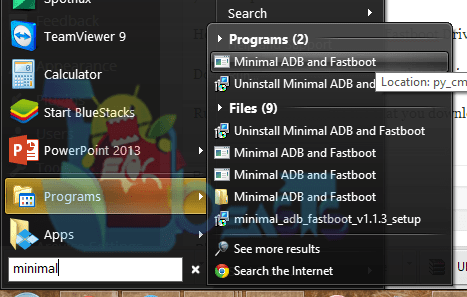 Earlier we posted a complete guide on how to install Android ADB & Fastboot Drivers on your Windows PC but I realized that it’s quite time-consuming and hard to understand, So while exploring a lightweight tool to overcome the difficulty, I found Minimal Android ADB and Fastboot driver tool on the XDA forum. Thanks to shimp208 for developing this awesome tool. The tool is packed up in just 2 MBs and using it, I was able to successfully install the drivers on the VMware that I use for Windows 7. I’ve explained below how to install and use this tool in detail. Please keep in mind that this tool is only to save the time, and for those who don’t want to go in many details and use the fastboot and adb only for the flashing purposes. 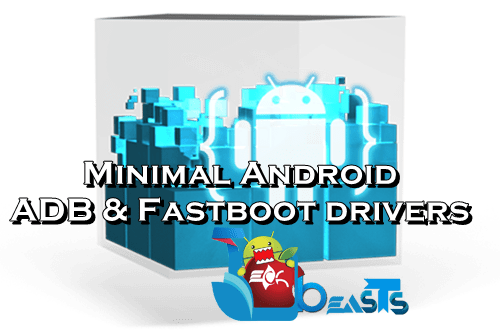 Perhaps if you want to install the Android ADB & Fastboot drivers for real Android development purposes, it is highly recommended to install the drivers using Android SDK tools, the full guide can be found here. Run the minimaltool.exe file that you downloaded and install the tool. During installation, tick “Create a desktop icon or Create a desktop shortcut“. You can run the tool now by either through the Start menu, through the icon that you created on the desktop or by opening Program files > Minimal ADB & Fastboot > Right click on an empty area while keeping the shift key pressed and click on “Open Command Window Here”. Use the Command prompt to do whatever you want now! To install any .img file, you will have to place that file in the Minimal Tool folder that is located in program files x86. To access the Fastboot mode, you’ll have to first bring the Fastboot mode on your device and then connect it. E.g on HTC devices you can highlight Fastboot mode by accessing it through HBoot and then connect it, while on Sony you can turn off the device and then while keeping the back or volume up key pressed plug in the USB cable. That’s All! You’ve successfully installed Android ADB & Fastboot drivers. I hope that it didn’t take more than 2 minutes for you. In case you got any queries, suggestions or face any difficulties regarding this post, please feel free to stop by the comment box below and leave us a message. We will try our best to help you out.